I’d Be Lost Without You | go do. Always in love with beautiful words and illustrations. 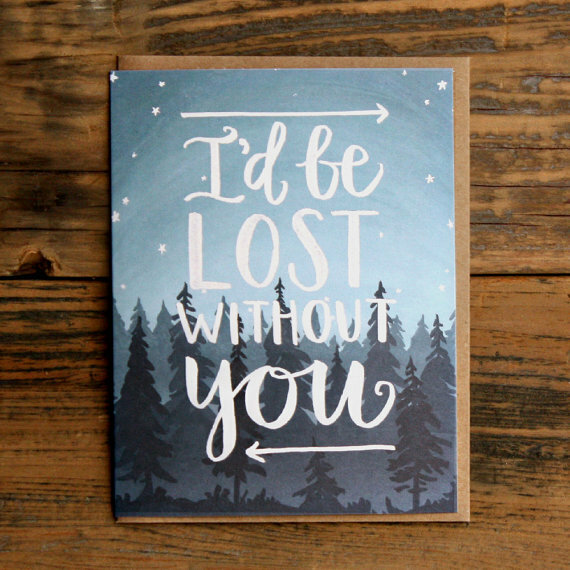 Found this lovely card on pinterest, you can buy it here. I do make my christmas cards by hand and am still looking for inspiration. Have you spotted any lovely ideas? Do you write christmas cards? Can’t believe Christmas is so near already !